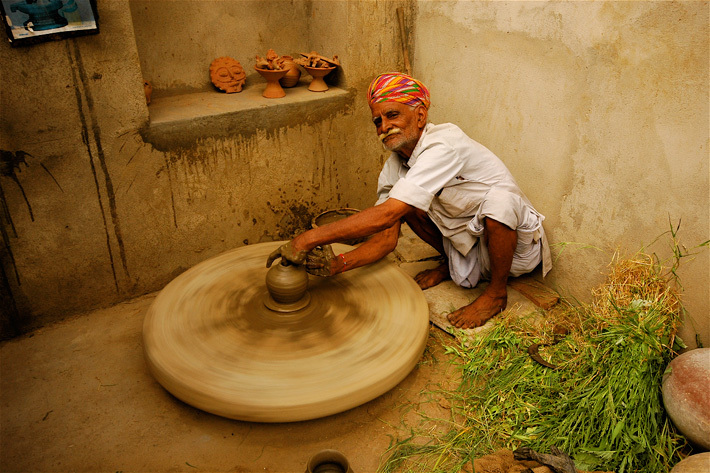 Rajasthan: Land of Princes | Souvenir. For many, Rajasthan is the very essence of India, with crenelated forts and impregnable palaces that rise like giant fairy-tale sets above dusty sun-scorched plains and shimmering lakes. India’s second-largest state – similar in size to France – is largely covered by the ever-encroaching Thar Desert. Yet despite its aridity, Rajasthan was once remarkably prosperous: traders from as far afield as Persia and China had to cross its dry plains to reach the southern ports of Gujarat, something the warrior princes of Rajasthan were quick to capitalize on. Today the principal attraction of Rajasthan – the post-independence name for Rajputana, literally “land of princes” – is the large variety of forts and palaces its aristocrats built throughout the centuries, together with their usually breath-taking sites, that makes it one of the most popular destinations in India. But Rajasthan offers so much more than Rajput warrior history, desert castles and culture—from tracking down tigers in the Ranthambhore jungle (arguably the best place to spot wild tigers in Asia) to gaping at the world’s most intricately carved marble temples on historic Mount Abu. Peopled by proud turbaned men and delicately boned women in saris of dazzling colors, the “land of princes” is rich with possibilities. It’s also high on contrasts: You could bed down amid some of the most sumptuous luxury on earth and then spend the day roaming ancient villages, exploring medieval marketplaces. You could easily plan to spend your entire trip to India in Rajasthan, which is within easy striking distance of Delhi (and the Taj Mahal) by train, plane, or road and it will deliver to you the richness and contrasts, coupled with the heartfelt service and true comforts you seek in such a visit. 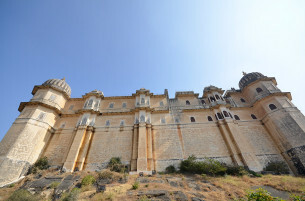 Certainly you’ll need at least a week to take in the major destinations, of which the lake city of Udaipur and the desert fort of Jaisalmer—the only fort in the world still inhabited by villagers—are top highlights. If you are naturally inclined and seek peace and tranquility away from the larger towns or attractions then you should amble along in the undulating Aravalli Hills, which predate even the Himalayas, with their savannah-type terrain and charming small villages and truly special hotels. Also vying for your time is the “blue city” of Jodhpur, which has the state’s most impressive and best-preserved fort as well as the largest palace in India; the tiny but commercial town of Pushkar, built around a sacred lake and host to the biggest camel mela (fair) in Asia; the painted havelis (historic homes or mansions) of the Shekhawati region, referred to as India’s open-air gallery; the tiny Keoladeo “Ghana” National Park, which boasts the largest concentration and variety of bird life in Asia; the untainted, almost medieval atmosphere of little towns like Bundi; and the bumper-to-bumper shops and bazaars in Jaipur (the state and retail capitals of Rajasthan). 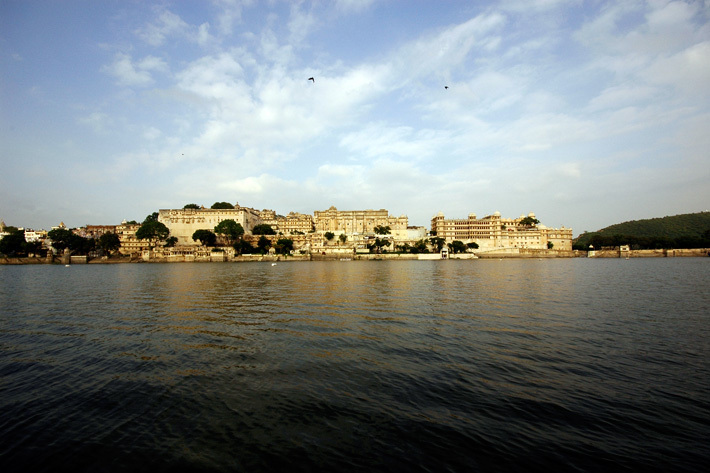 Shopping, in fact, is another of the state’s chief attractions: Because of the liberal patronage of the wealthy Rajput princes, skilled artisans from all over the East settled here to adorn the aristocrats and their palaces. Today these same skills are on sale to the world’s designers and travelers, and no one—from die-hard bargain-hunters to chichi fashionistas—leaves Rajasthan empty-handed. The question is how to choose from an unbelievable array of textiles, jewelry, paintings, rugs, pottery, diaries—even kitchen utensils—and then how to fit them into your bulging suitcase. But perhaps the best reason to visit Rajasthan is to experience its unusual hotels and world-class service ethic: The state has at least 100 heritage properties—castles, palaces, forts, and ornate havelis—many of which are still home to India’s oldest monarchies. This must be the only place in the world where, armed with a credit card, you can find yourself sleeping in a king’s bed, having earlier dined with the aristocrat whose forebears built and quite often died for the castle walls that surround it. Known for their valor and honor, and later for their decadence (see “Once Were Warriors: The History of the Rajput,” below), the Rajputs are superb hosts, and it is almost possible to believe that you, too, are of aristocratic blood, as a turbaned aide awaits your every wish while you marvel at the starry night from the bastion of your castle surveying your kingdom below you. Long live the king (and queen), for you are them. Although the revenue you bring to Rajasthan is a welcome boon, don’t be fooled by the sumptuous luxury, deep bathtubs, and infinity swimming pools you’ll encounter and no doubt be seduced by. Still very much a traditional, feudal society, the country’s second-largest state is also one of its poorest. Although official estimates indicate that poverty is on the decrease, sheer numbers rather than percentages paint a more depressing picture—more than a million city-dwellers live in slums. Some 300,000 have no regular access to pure drinking water, and 330,000 have no access to proper toilet facilities. The plight of Rajasthan’s people has in recent years been exacerbated by the worst drought in living memory—years of little rain have resulted in the widespread deaths of livestock and the decimation of crops. Many blame the government for undermining traditional ways of coping with drought: Widespread irrigation schemes have made farmers rely on taps and tanks rather than take a frugal approach to water but this is slowly changing where farmers are now collaborating and sharing the resultant crop yields. As you drive through the state, you’ll see massive concrete pipes being installed, ready to bring water to even the driest regions. Regardless, the fact remains that—even with the prayed-for return of rainit will be difficult for the rural sector (over 70% are rural and depend on subsistence farming) to fully recover, particularly since there is every reason to suspect that the global warming phenomenon has forever altered local seasons; monsoon rains in 2006 were accompanied by unexpected floods that wreaked havoc in unprepared desert regions, while hail during the 2007 harvest in Jaisalmer, for example, undid the good work of the previous year’s rainfall, and at the time of writing, the monsoon is at least a full month late and may not happen at all. Rajasthan’s history is inextricably entwined with that of its self-proclaimed aristocracy: a warrior clan, calling themselves Rajputs, that emerged sometime during the 6th and 7th centuries. Given that no one too low in the social hierarchy could take the profession (like bearing arms) of a higher caste, this new clan, comprising both indigenous people and foreign invaders such as the Huns, held a special “rebirth” ceremony—purifying themselves with fire—at Mount Abu, where they assigned themselves a mythical descent from the sun and the moon. In calling themselves Rajputs (a corruption of the word Raj Putra, “sons of princes”), they officially segregated themselves from the rest of society. Proud and bloodthirsty, yet with a strict code of honor, they were to dominate the history of the region right up until independence, and are still treated with deference by their mostly loyal subjects. The Rajputs offered their subjects protection in return for revenue, and together formed a kind of loose kinship in which each leader was entitled to unequal shares within the territory of his clan. The term they used for this collective sharing of power was “brotherhood,” but predictably the clan did not remain a homogenous unit, and bitter internecine wars were fought. Besides these ongoing internal battles, the Hindu Rajputs had to defend their territory from repeated invasions by the Mughals and Marathas, but given the Rajputs’ ferocity and unconquerable spirit, the most skillful invasion came in the form of diplomacy, when the great Mughal emperor Akbar married Jodhabai, daughter of Raja Bihar Mal, ruler of the Kachchwaha Rajputs (Jaipur region), who then bore him his first son, Jahangir. Jahangir was to become the next Mughal emperor, and the bond between Mughal and Rajput was cemented when he in turn married another Kachchwaha princess (his mother’s niece). A period of tremendous prosperity for the Kachchwaha clan followed, as their military prowess helped the Mughals conquer large swaths of India in return for booty. But many of the Rajput clans—particularly those of Mewar (in the Udaipur region)—were dismayed by what they saw as a capitulation to Mughal imperialism. In the end it was English diplomacy that truly tamed the maharajas. Rather than waste money and men going to war with the Rajput kings, the English offered them a treaty. This gave “the Britishers” control of Rajputana, but in return the empire recognized the royal status of the Rajputs and allowed them to keep most of the taxes extorted from their subjects and the many travelers who still plied the trade routes in the Thar Desert. This resulted in a period of unprecedented decadence for the Rajputs, who now spent their days hunting for tigers, playing polo, and flying to Europe to stock up on the latest Cartier jewels and Belgian crystal. Legends abound of their spectacular hedonism, but perhaps the most famous surround the Maharaja Jai Singh of Alwar (north of Jaipur), who wore black silk gloves when he shook hands with the English king and reputedly used elderly women and children as tiger bait. When Jai Singh visited the showrooms of Rolls-Royce in London, he was affronted when the salesman implied that he couldn’t afford to purchase one of the sleek new models—he promptly purchased 10, shipped them home, tore their roofs off, and used them to collect garbage. The English tolerated his bizarre behavior until, after being thrown from his horse during a polo match, he doused the animal with fuel and set it alight. Having ignored previous reports of child molestation, the horse-loving British finally acted with outrage and exiled him from the state. Above all, the Rajput maharajas expressed their newfound wealth and decadence by embarking on a frenzied building spree, spending vast fortunes on gilding and furnishing new palaces and forts. The building period reached its peak in Jodhpur, with the completion of the Umaid Bhawan Palace in the 1930s, at the time the largest private residence in the world. When the imperialists were finally forced to withdraw, the “special relationship” that existed between the Rajputs and the British was honored for another 3 decades—they were allowed to keep their titles and enjoyed a large government-funded “pension,” but their loyalty to the British, even during the bloody 1857 uprisings, was to cost them in the long run. In 1972 Prime Minister Indira Gandhi—sensibly, but no doubt in a bid to win popular votes—stripped the Rajputs of both stipends and titles. This left the former aristocracy almost destitute, unable to maintain either their lifestyles or their sprawling properties. While many sold their properties and retired to middle-class comfort in Delhi or Mumbai, others started opening their doors to paying guests like Jackie Kennedy and members of the English aristocracy, who came to recapture the romance of Raj-era India. By the dawn of a new millennium, these once-proud warriors had become first-rate hoteliers, offering people from all walks of life the opportunity to experience the princely lifestyle of Rajasthan.